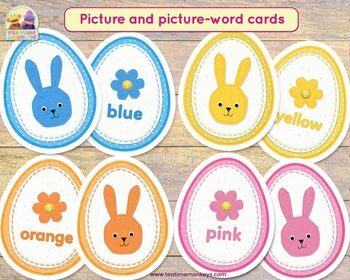 Use these fun Easter Egg Matching Cards to practice colours vocabulary, counting from 0 to 12 and size recognition with your little ones! 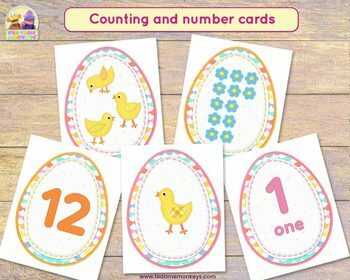 Perfect for a preschool, kindergarten or ESL classroom, there are many activities you can do with them; play simple games, set up egg hunts, add them to a sensory bin, use them as clip cards, or just make a lovely Easter or Spring wall display! 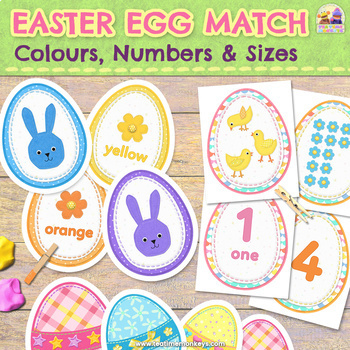 The cards are colour coded to help young children match them up and include different difficulty levels, so you can choose according to the age and developmental level of your kids. 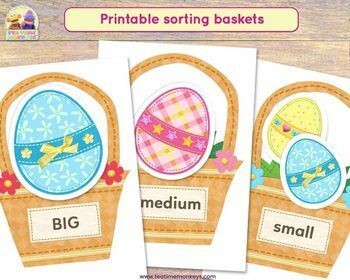 Please read the printing instructions included in the PDF to get the most from your printable game. Songs, videos, crafts & other free resources on our website! Just click the green star beside our name at the top of the page. When you follow us you'll receive notifications when we post a new item.